Anonymous leaks PSN SSH Logs, Sony is responsible for Data Theft ? 1.) On the Sony servers running the highly outdated Open SSH version 4.4. 2.) Current version is 5.7. For those of Sony for encrypted version are used for more than five years several known security holes. 3.) Sony server running in part to the long-outdated software Apache 2.2.10. 4.) Current version is 2.2.17. The version used by Sony is vulnerable to damaging Internet attacks, such as overload attacks (DDOS). 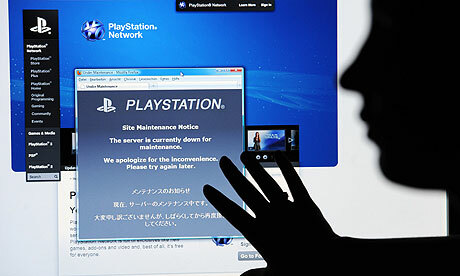 Outdated server software may have caused outage Allowing PSN hackers to enter PlayStation Network stealing more than 100 million user data sets from PSN and SOE. Since the allegation itself isn't exactly new, correct, there are new proofs that this rumor is. Report even claims that Sony lies when it comes to the statement of outdated servers. 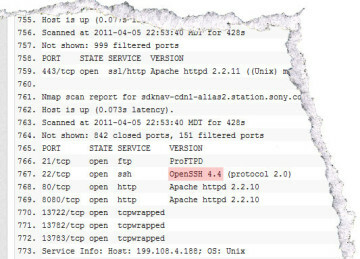 Computer Bild got an excerpt showing log files that proof that Sony was, as of the hacking attack, using very outdated server software, searchable as OpenSSH 4.4 - current version is 5.7. 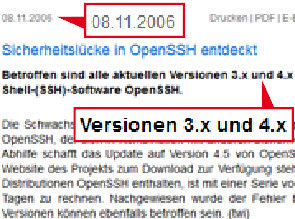 Back in 2006 there were reports about OpenSSH 3.x and 4.x, and the security issues those versions utilize. 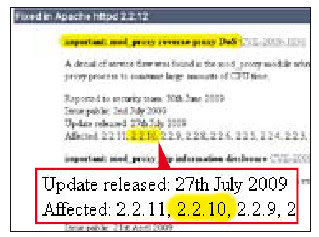 But SSH was not the only open door for hackers: Sony used to outdated version of the Apache webserver as well. 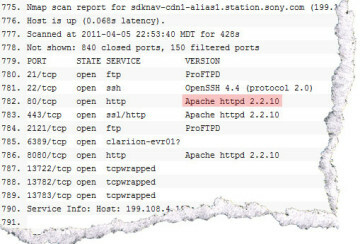 Apache server was found on Sony's current version is 2.2.10 while 2.2.17. Sun Sony made it easy for hackers to access sensitive data since summer 2009 as there were bug reports about "dangerous security issues" Mentioned in the version, as Hamburger Press states. Guido Alt, spokesman for Sony Germany, told Computer Bild that he was not handed any information about Sony using old server software. But since Anonymous' log files show log-ons to Sony-servers, Sony could seriously be in trouble. Although those logs would not be valid evidence in a court unless Sony approve them, community pressure will become a serious topic to Sony. At least for now, they have to tell the truth - now where logs are handed around the press.